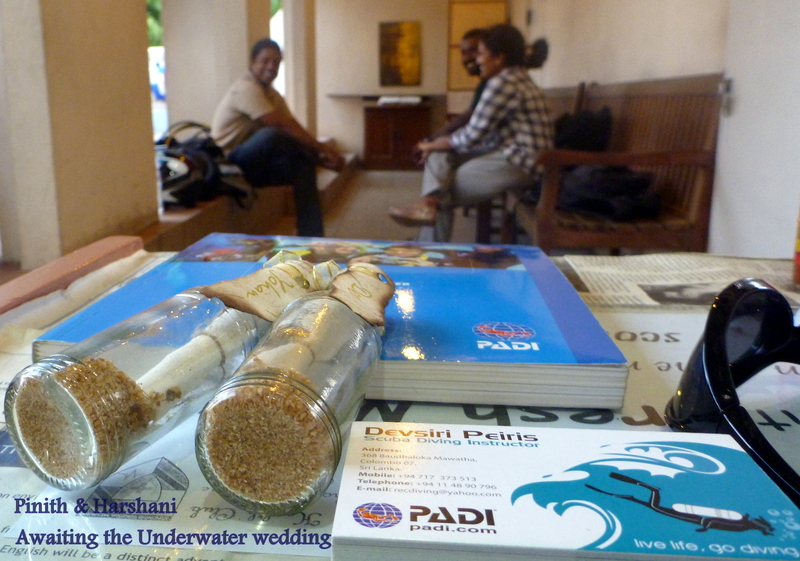 Exciting, under water wedding coming up! 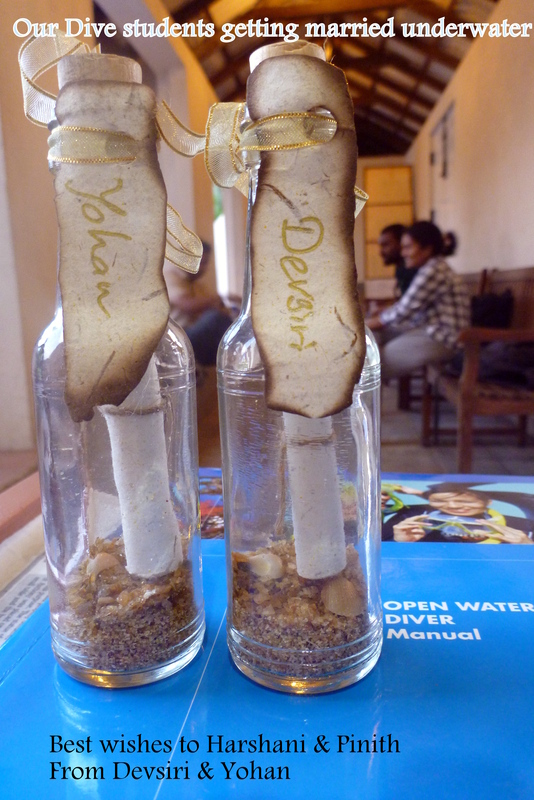 Thank you for the lovely invitation in the bottle. Our wishes to you for your wedding. looking forward to your great day. Introducing another new Scuba Diver! 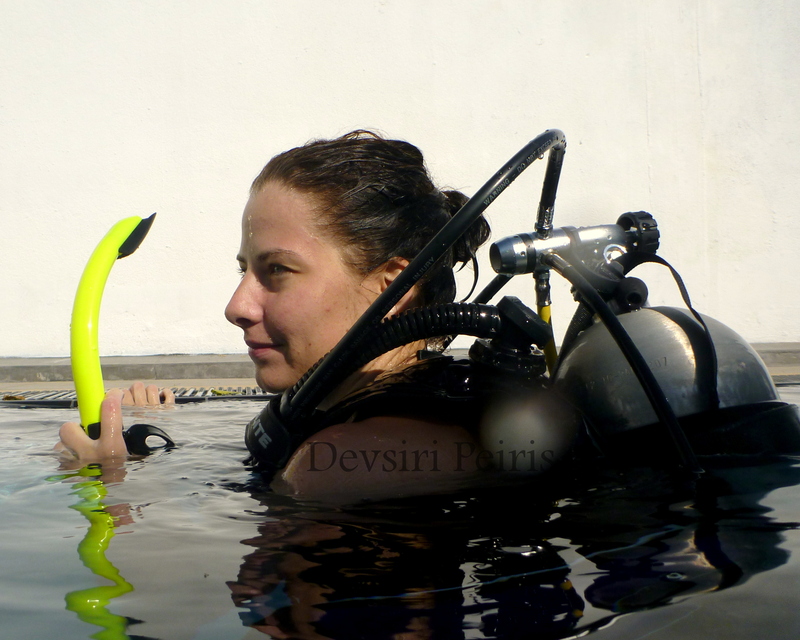 This is Vindy, she completed most of her training in Colombo & Beruwela & completed the final Open Water Dives in Hikkaduwa. It was a great privilege to train her since I received my PADI Open Water diver training & license from her uncle who is a very professional & excellent PADI Instructor. This is Jana successfully completing her pool training for the PADI Open Water certification. 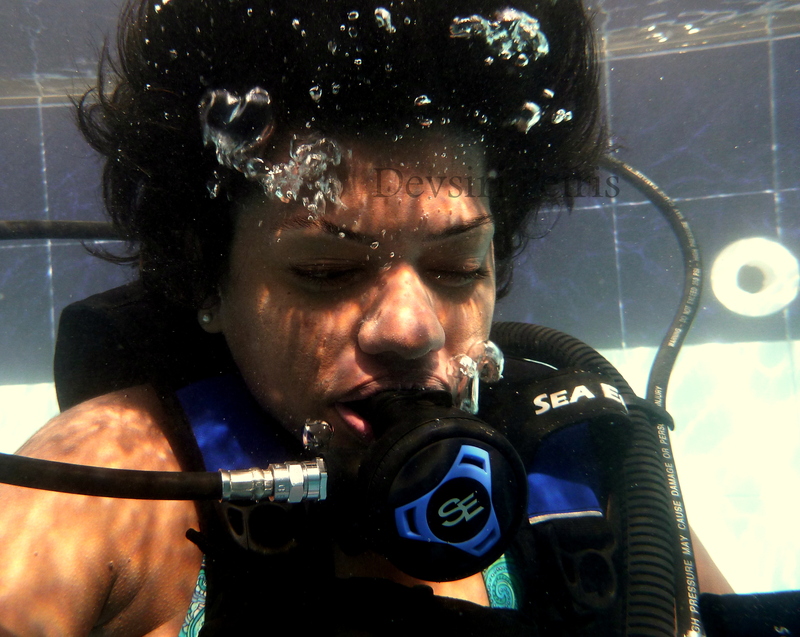 Jana completed her theory and pool training at Mount Lavinia and completed her 4 Open Water dives in Hikkaduwa.